The government shutdown continues, much to many of our dismay. Also, the Coffeeneuring Challenge is in full swing, much to many of our great delight! Today I did a six-mile shutdown run (all activities will hereby be prefaced with “shutdown” until this ends, I tell you), which took me near the U.S. Capitol, by the Washington Monument, around the Lincoln, down Ohio Drive, by the Jefferson Memorial, and home. 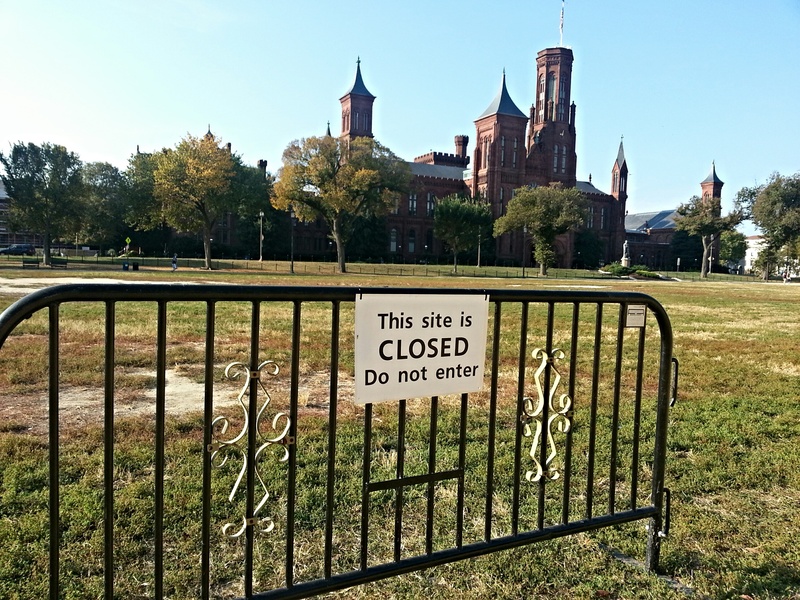 The National Parks continue to be closed, even though the message is more symbolic than anything. Closing parks is such a weird thing, I thought as I ran. Parks invite. They say, here is a bunch of green space. Wouldn’t you like to run or walk on me? Of course you would. Here are some benches. They make the perfect place to sit and read the paper, collect your thoughts, take a break, or people-watch. 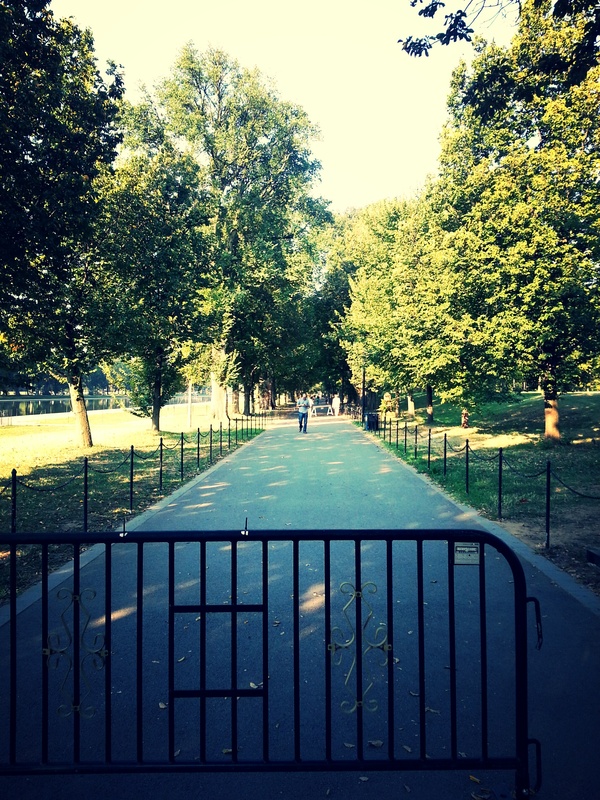 It’s basically impossible to truly close these parks. With minimal federal staff, no one is patrolling them, saying GET OFF MY LAWN. Instead there are signs and gates interspersed throughout these spaces to that effect. But you will not, cannot, keep the people away. 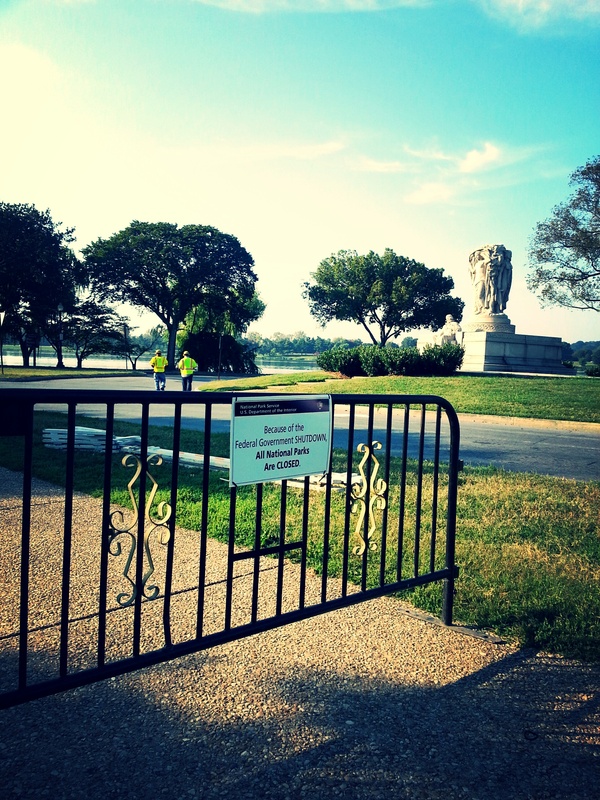 Those who want to see the World War II Memorial will visit it. 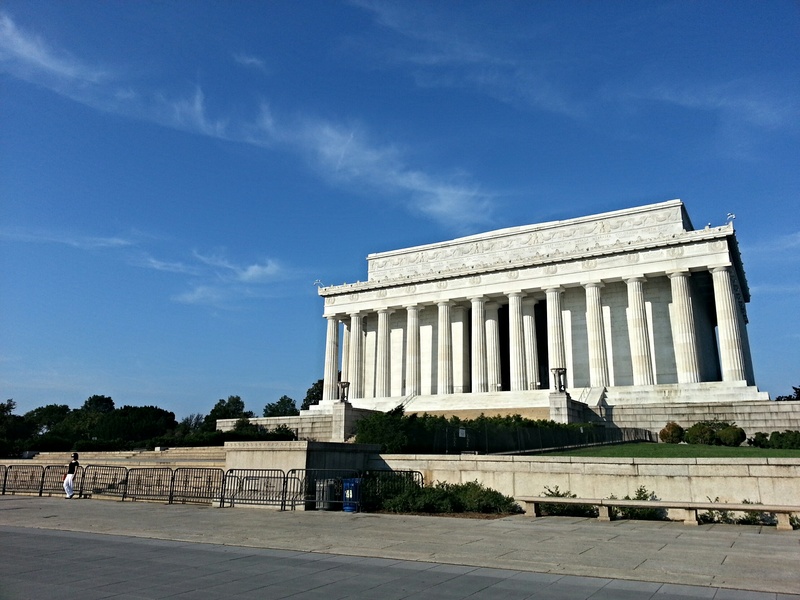 People who want to check out the Lincoln Memorial will get as close as they can. If someone really wants to walk on the grass, they will. The federal park closures are not all bad. Mostly bad, but not ALL bad. As a result of the officially “closed” spaces, there are enough barricades set up to keep cars out of certain areas, but not pedestrians or cyclists. 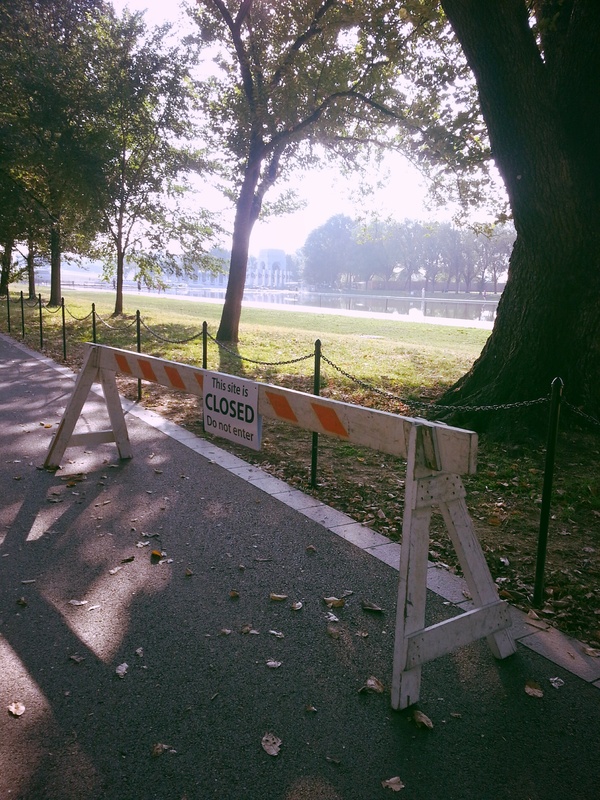 With the exception of the deflating symbolism of the gates and the more direct signage to constantly remind us of the government shutdown, the areas blocked to motorized vehicles are quite nice. Today I ran down Ohio Drive. That’s right. 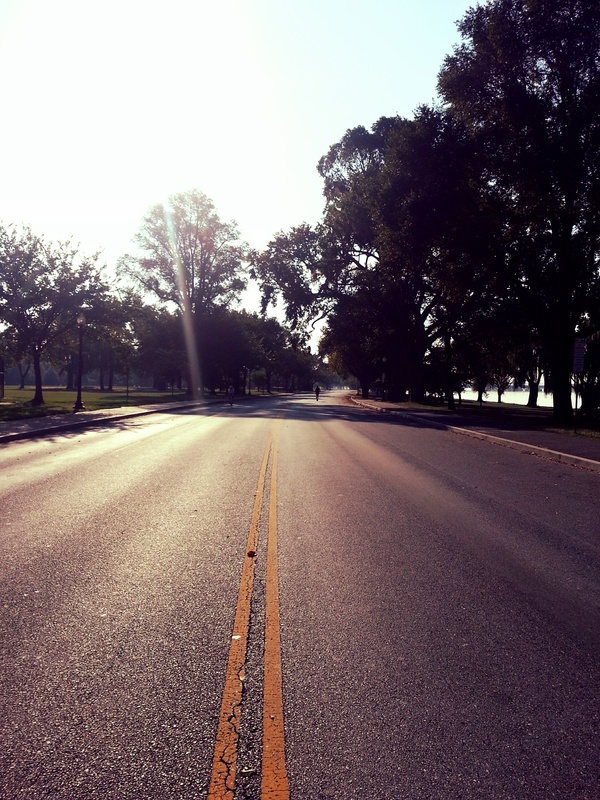 I ran on the road. It was lovely. No car traffic. No cars parked along the street. It was really refreshing. I wish Ohio Drive was closed all the time. Ohio Drive. No cars, no parking. I like it like this. I was thirsty on Ohio Drive so I tried using one of the water fountains. Working! 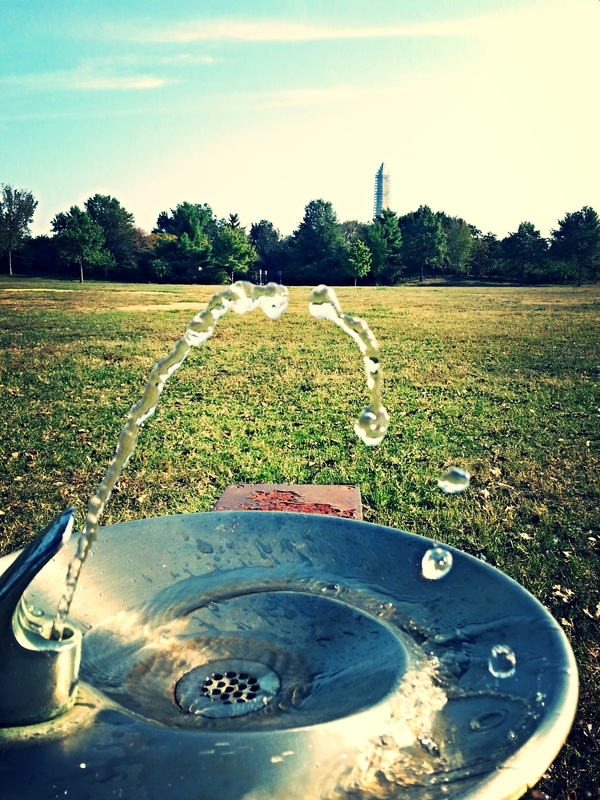 Not even the shutdown kept me from slurping at one of the water fountains in our nation’s capitol today. How thrilling. Shhhh. Don’t tell anyone about the running water. Water fountain still running. Win! 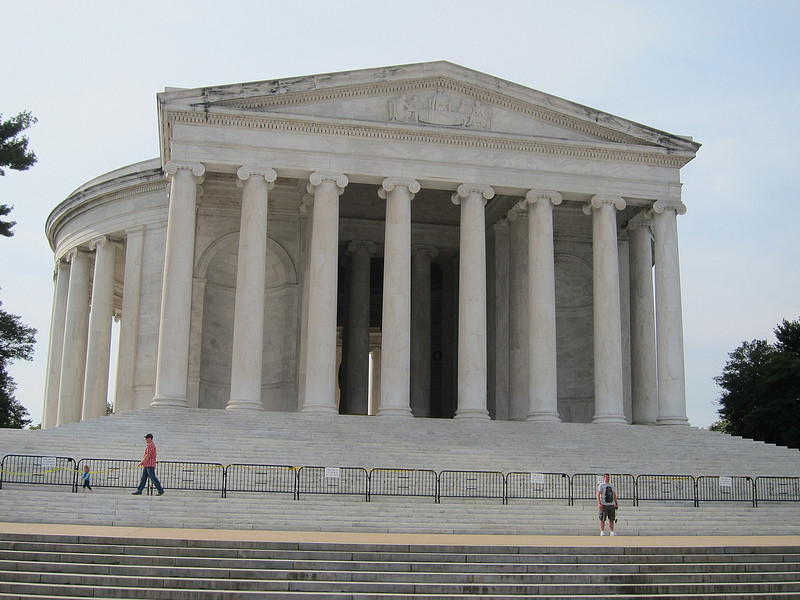 But it is a bummer that people can’t see places like the Lincoln or the Jefferson Memorial up close. For now, we put up with the $&@!, the good, and the bad and hope the shutdown ends soon. Back to coffeeneuring tomorrow, everybody. Can’t wait! i am delighting in thought at all the people who *may* go ahead and walk on the lawns or visit the memorials and enjoy the crazy forbidden pleasure! !